Benefits Of Ear Plugs - Learn About Protecting Your Hearing! Everyone is sensitive about hearing loss. Why is that when your eyesight starts to fade you don’t hesitate to book an appointment with your local optometrist? Yet when we notice issues with our hearing we look for excuses such as people not speaking loud enough or too much background noise? Hearing loss is incredibly widespread with roughly 1 in 6 people experiencing some kind of difficulty hearing. Even though there are solutions to hearing loss such as wearing hearing aids, people are not too embracing of them as they are with optical glasses. Glasses can be considered trendy and fashionable where as hearing aids can never be considered so. Therefore if you’d like to avoid wearing hearing aids in the future, have a read on below as we detail the benefits of ear plugs as a form of hearing protection. How Can I Reduce The Risk of Hearing Loss? Extensive research suggest that human beings should not be exposed to higher than 85dB (decibels) of noise for too long. Even at 85 decibels, experts explain that more than 8 hours is considered extensive exposure and could put your hearing at risk. The world is incredibly noisy and human beings are consistently enduring noises of well over 85dB. For example a hair drier blasts at 90dB and a common concert is often heard at well over 105dB. An iPod playing at peak volume plays at 115dB and with music becoming increasingly more portable with most phones also doubling as MP3 players. A simple way to reduce issues such as tinnitus could be to avoid the above altogether. However, this is not a practical solution as people aren’t going to give up music completely or going to rock concerts. Are Ear Plugs Effective At Preserving Hearing? An alternative to turning down the music, or not attending at all is to look at accessories such as ear plugs or muffs that muffle loud sounds and protect your inner ear. A quick trip to the airport and you’ll notice nearly all of the ground staff wearing some kind of ear plugs or over the ear muffs. These are rather bulky and lets face it, you’d stick out like a sore thumb if you wore these to a concert or down the street. Luckily there are products available on the market today such as memory foam, silicon or tapered ear plugs that seamlessly slot into the ear with out drawing too much attention to yourself. These products are by no means a custom design. However, a convenient benefit of using these is that they are cheap and disposable so you can throw them out once used. If you are a musician you are at high risk of hearing loss due to your constant exposure to noise blaring from strong speakers or instruments within a few metres of where you’re standing. If your lifestyle revolves around loud music at gigs and music sets, it is highly recommended to look into purchasing a pair of custom made ear plugs. How Much Do Custom Ear Plugs Cost? It depends on where you go to shop but commonly found pricing for ear plugs ranges from approximately $100 – $350. The reason for the slightly prohibitive pricing is due largely to the fitting appointment you need to attend before receiving your ear plugs. At the fitting, an audiologist will take an impression or cast of your ears to work out the correct size and shape of your ear plugs. 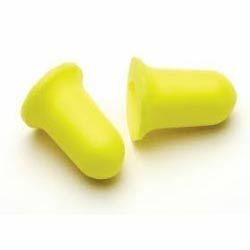 Where Can I Buy Custom Ear Plugs? As we just mentioned, custom made ear plugs can be purchased from your local audiologist. It is advised to visit an audiologist for these plugs as they will correctly measure the accessories to your ear. 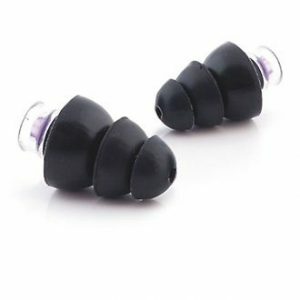 This ensures no loud noise can be heard between gaps or holes found between ear plugs and your actual ear. If you’re in need of ear plugs arrange an appointment with an Hearing Choices expert today. You can make a booking using the forms found on our website or by using our phone number located at the top of the page.